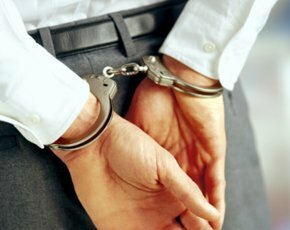 Spanish police have arrested a Dutch national suspected of being behind one of the biggest distributed denial-of-service (DDoS) attacks to date. The Netherlands national prosecution office said a 35-year-old suspect it identified only by his initials, SK, was arrested on Thursday at his home in Barcelona. Dutch prosecutors do not release full names of suspects, in line with privacy laws, but the suspect is believed to be Sven Kamphuis, owner of Dutch hosting firm Cyberbunker. In early April, investigators accused Kamphuis of unleashing powerful DDoS attacks against anti-spam group Spamhaus after it blacklisted Cyberbunker. Spamhaus websites were bombarded with large numbers of page requests generating network traffic of up to 300Gbps in an attempt to render the organisation unreachable. Kamphuis rejected the accusations, saying he was the victim of an establishment conspiracy and being blamed for the attacks on Spamhaus because of the row over the blacklisting. The row erupted after Spamhaus blocked servers maintained by Cyberbunker, which in turn accused the non-profit content filtering organisation of “abusing its influence” as a self-appointed censor. In a statement, the Dutch public prosecutor said the man arrested in Barcelona was "suspected of unprecedented heavy attacks" on Spamhaus. The man’s house was searched at the time of his arrest and Spanish police confiscated computers, phones and hard drives. Dutch authorities said they expect the suspect to be transferred to the Netherlands very soon. A spokesman for the Dutch police said they were cooperating with UK and US authorities on the investigation into the attacks, according to the BBC. The attacks on Spamhaus have highlighted inherent weaknesses in the crucial domain name system (DNS) that underpins the internet. According to Spamhaus’s Steve Linford, few organisations would be able to withstand the magnitude of DDoS attacks that have been unleashed against it. He said Spamhaus had been able to cope because it has highly distributed infrastructure in a number of countries and it is supported by some of the world's largest internet companies.